S2 Ep.5 What Do You Mean, Self Care? It's not exactly clear what we mean when we say "self care." By popular usage, it could mean anything from going to yoga to spending a Saturday in bed. Self care is front and center in our conversations about work-life balance, and it's all over our Instagram feeds. In this episode of DC Diary, we talk about what exactly self care is with Self Care Coach Gracy Obuchowicz. Then, Ronald Young Jr., host of the podcast Time Well Spent, tells a story about how he came to prioritize self care in his daily life. This episode was produced by Michelle Harven. Our theme song was composed by Bryson Kemp. The government has been shutdown for more than 30 days now. This podcast is about what we do outside of work, but what do we do when there is no work? We talked with furloughed feds in DC at 2 bars offering shutdown specials - Capitol Lounge and Atlas Brew Works. Recording Happy Hour, Thursday, January 24, 6-8 pm at Emissary. RSVP here. Join the producers of DC Diary podcast for a recording happy hour! Basically, it's a happy hour but instead of networking, we encourage you to loosen that tie, grab a drink, and actually connect with each other. All the while, our mobile recording booth is available for you to record your conversations, musings, rants, and opinions, and we use those clips in the podcast. The themes in the booth with by self-care and all things food. Bring your friends and your colleagues and your Tinder dates. All are welcome! Giving back to our communities is sometimes like exercising and eating well - we know we should do it, it makes us feel good, but if we're not in the habit, it can be hard to know where to start. This episode is about volunteering and giving back. Featuring Friends of the Soldiers Home, a community volunteer group at the Armed Forces Retirement Home, and Paws and Read, a volunteer opportunity for kids at the Animal Welfare League of Arlington. This episode was produced by Michelle Harven. Our theme song is by Bryson Kemp at https://www.brysonkempmusic.com/. Creative side hustles can range from stand up comedy to painting, writing to podcasting, baking to music. We pursue side hustles for any number of reasons: to build a career, to scratch that creative itch, or to share our unique voice. This episode explores the creative side hustles we pursue and why we pursue them. Check out Mike Whitfield online at whitfieldcomedy.com, and on twitter at @cmikewhitfield. He’s also part of the comedy group definitely real comedy, find them at definitelyrealcomedy.com. You can find Carlos online at carmonamedina.com. This episode is produced by Michelle Harven. Theme song by Bryson Kemp. Other music in the episode by Poddington Bear, Jeris, Daddy Scramble, and Blue Dot Sessions. Young professionals in DC play social sports as a way to meet new people, stay in shape, and have fun. Sometimes, the focus is fun. In the league Project Black Flag, the focus is winning. On this episode of DC Diary, we follow two teams in their bid for the 2018 Spring Championship for Project Black Flag, a flag football league. This episode was mixed and produced by Michelle Harven. Melody Rowell helped with field production. Our theme music was composed by Bryson Kemp. S2 Ep.1: What's Your 5-9? Welcome back to a brand new season of DC Diary! In season two, we're focusing on anything outside of your 9-5. Episode one is all about how we keep our personal and professional lives separate... Or how we don't. This episode was produced by Morgan Givens and Melody Rowell. Our production assistant is Simona Ruzer. Our theme music was composed by Bryson Kemp, and you can find him at brysonkempmusic.com. 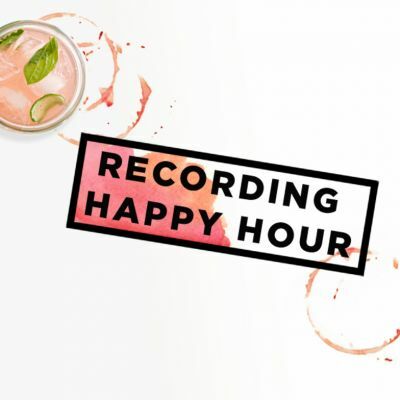 Recording Happy Hour, Tuesday May 22, 6-9 pm, Colony Club, RSVP here. 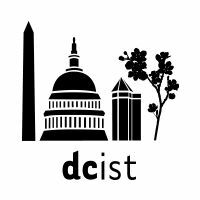 We're kicking off Season 2 of the DC Diary podcast with a v casual Recording Happy Hour in partnership with 730DC and Colony Club. Basically, it's a happy hour but instead of networking and being uncomfortable in your heels and polyester garments (hello summer), we encourage you to loosen that tie, grab a drink, and actually connect with each other. All the while, our handy mobile recording booth is available for you to record your conversations, musings, rants, and opinions, and we use those clips in the podcast. Bring your friends and your colleagues and your Tinder dates. All are welcome! We were honored to win Gold at the DC WebFest this weekend! We're totally blown away, and we're totally going to refer to ourselves as "award-winning podcasters" from here on out. For the festival, we put together a short piece that gives a little flavor of the show. We thought we could share this bonus content with your podcast feed. And don't worry - we're working on season 2 right now, so there's more DC Diary to come. Thank you for listening and supporting the show, and thank you for lending your voices and stories to us so we can keep creating. Sometimes we get caught up in the crazy news cycle and we lose track of what's really going on around us. In this episode, we do a quick reality check for Washingtonians. At happy hour, you answered the question, "What's something everyone knows but no one wants to admit?" And Stephanie talks to Mike Gula, a Republican fundraiser, about what it's really like watching from the inside. This is the last episode of Season 1 of DC Diary! Thanks for sticking with us over the past year. Make sure to subscribe to the podcast and follow us on Facebook, Instagram, and Twitter for updates. We'll have new events and episodes for you soon. Our brand new theme song was composed by Bryson Kemp, you can find him at brysonkempmusic.com. Other music in our episode was composed by Broke for Free, Miró Belle, Jahzzar, and Podington Bear. Our sponsors for this episode are Time on the Hill and Pixel Eyewear. Adam Hainsfurther is our Executive Producer.